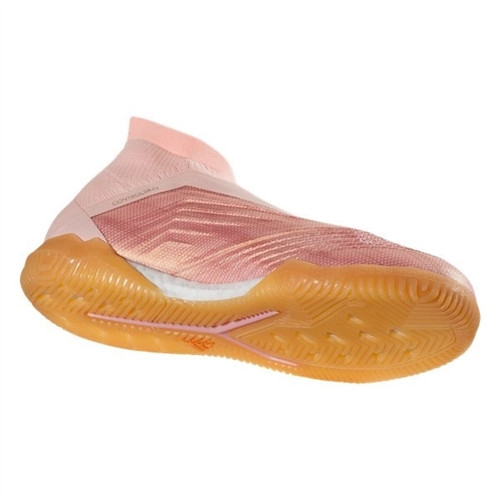 Laceless sock forefoot; Stretchy collar. adidas Primeknit and Controlskin textile upper. 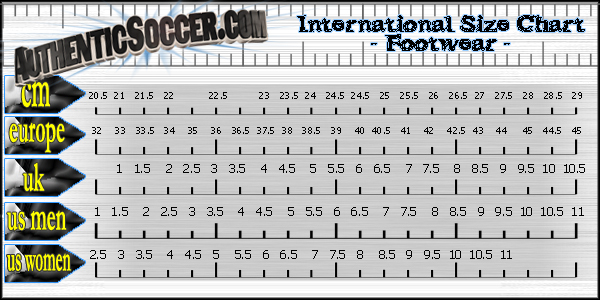 Outsole configuration amplifies rotation, traction and stability on flat indoor surfaces. 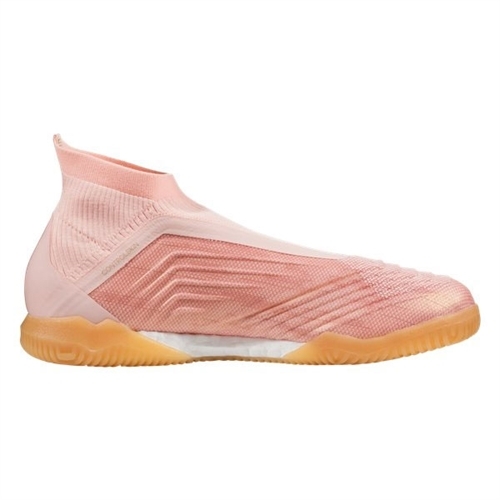 Our adidas Predator Tango 18+ IN were reborn to rule the pitch, perfected to own the street Influenced by their on-pitch counterparts, these soccer shoes deliver supportive, sock-like comfort.